Back to school time is here and after a few months of a relaxing summer, it can be hard for everyone to get back onto their A game! 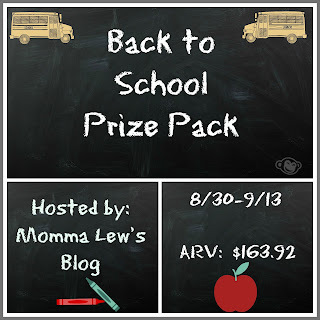 Hopefully this giveaway will help ease the stress for you and your children! Wow, it's already that time of the year again to where the kiddos are heading back to school. And we all know what that means..busy, busy and hectic schedules. Just remember to take a moment and breathe! It's a lot to take on, I have kids in high school and one starting online schooling so that's a challenge of its own but, just don't get stressed, relax! Good luck to everyone that enters this great giveaway!! -The first thing your child's school or daycare tells you to do is label EVERYTHING! From coats, hats, and each mitten to thermos', lunchboxes and folders! Kidecals makes it quick & easy, as they are most durable and waterproof labels currently on the market! Read Momma Lew's review here to find out more and get a special discount promo code with free shipping on your order! -Now that you have everything labeled, how are you going to pack a nutritious lunch that your child is going to want to eat and not throw or giveaway everyday? Get your picky eaters to try something new when their food is cut into shapes such as triangles, hearts or squares by using a FunBites! Is your child like mine and doesn't like the crust? Quickly turn any sandwich into an "uncrustable" using the Pampered Chef Cut-n-Seal! The Fruit & Cheese cutter will help your vegetables & fruits look fun and appetizing by changing boring cucumbers, watermelon and cheese into hearts & stars! Feel good about giving them treats with Yum Earth Organics' Fruit Snacks! Read Momma Lew's review to find out all about these 100% natural flavored snacks! Package it all up into something cute and fun with a SnackTaxi reusable sandwich sack! -When your children come home from school they might need a few minutes to unwind from being a good student all day! 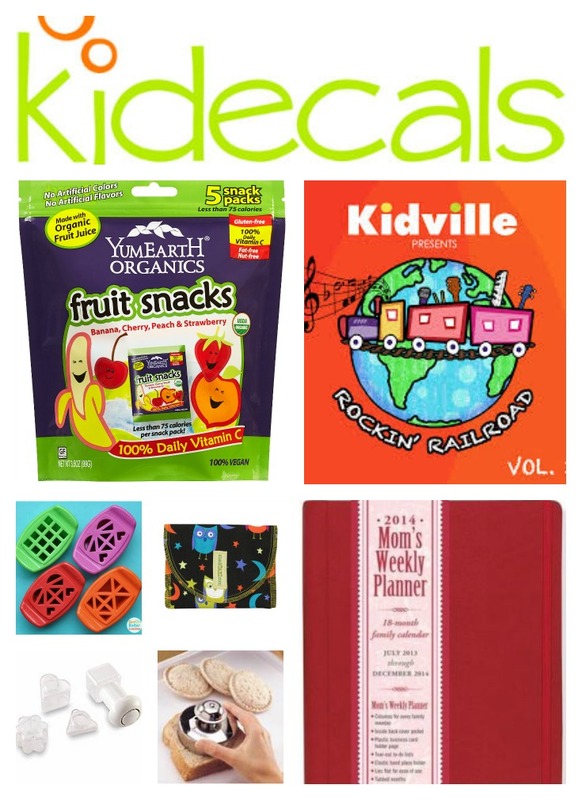 Read Mom's Thumb Reviews' review of the Kidville Rockin' Railroad CD! With various genres of music, you and your kids will have a good time, get moving and even learn a few things about music all at the same time! After the 45 minutes is up, everyone will be ready to get started on the evening's homework assignments! -Finally, how about something for mom?! Keep track of everyone's whereabouts and appointments with the 2014 Mom's Weekly Planner! 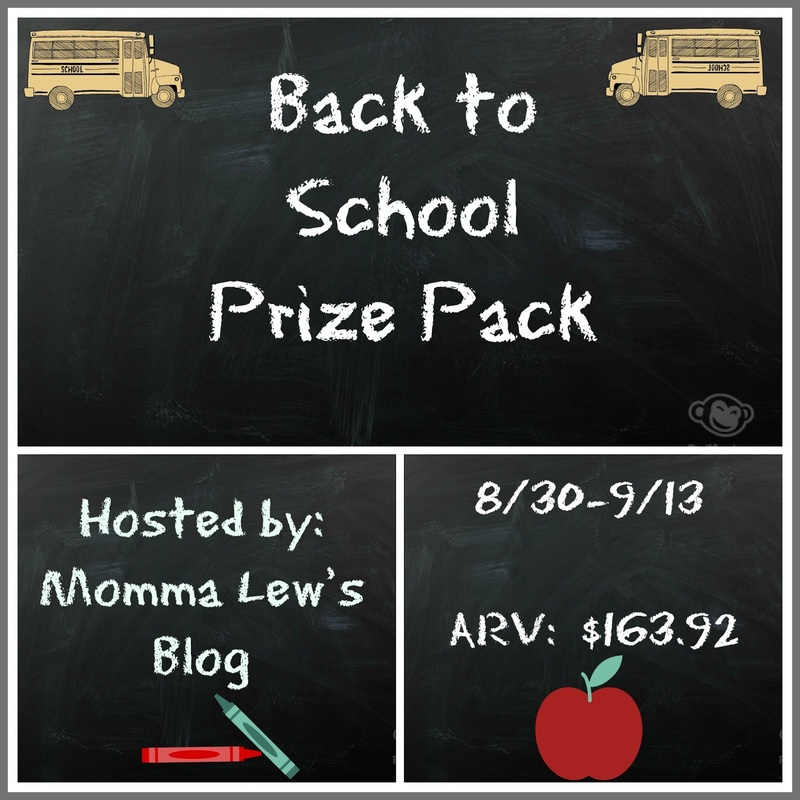 Read Momma Lew's review here to see how this will keep you organized this school year! It is now time for you to enter this amazing giveaway! One lucky reader will win all 8 prizes! Retail value is a total of $163.92. 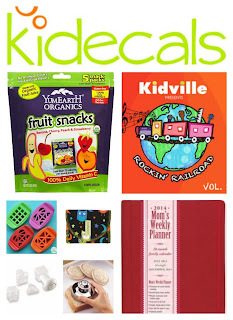 Three lucky readers will win a copy of the Kidville Rockin' Railraod CD as a runner's up prize! To enter, simply follow the entries on the Rafflecopter below. This giveaway is open to residents of the US only and who are 18+. The giveaway will begin at midnight 8/30 and end on 9/13 at midnight EST.